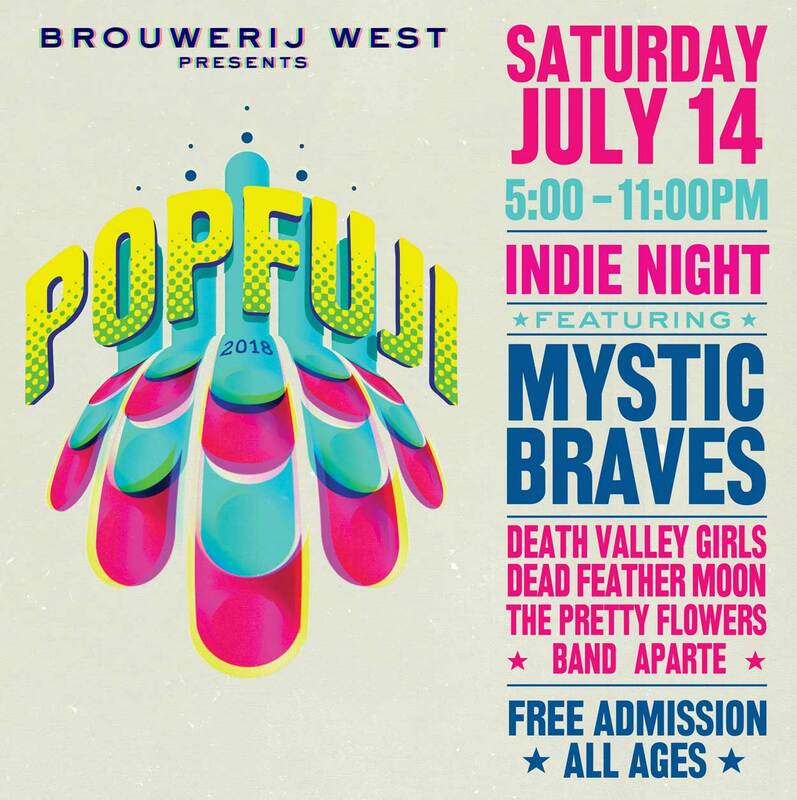 BROUWERIJ WEST PRESENTS POPFUJI W MYSTIC BRAVES, DEATH VALLEY GIRLS AND MORE ON SAT. JULY 14 – WIN T-SHIRT INSIDE! San Pedro’s Brouwerij West presents a new installment of their Popfuji series—this time, they’re focusing on seriously emerging talent, and it’s a seriously talented line-up. Headlining is Mystic Braves, with support from L.A. RECORD cover featurees Death Valley Girls, Dead Feather Moon, the Pretty Flowers—check out their album premiere here—and Band Aparte. The show is free at 5 pm on Sat., July 14, but would you like to win one of Brouwerij West’s snazzy t-shirts? Just email us at rsvp@larecord.com with subject POPFUJI and we’ll pick winners at random in time for you to grab a brand new shirt at the show!